I bought today’s book while researching my doctoral thesis about Russian military emigres in the 1920s and 1930s. It is the first in a series of volumes containing documents from the Russian archives about White Russian military organizations’ activities in that period. The officer circled on the cover is General A.P. Kutepov, the commander of the 1st Army Corps of the Russian Army of General Wrangel. Kutepov is perhaps best known for being kidnapped by the Soviet secret services in Paris in 1930. His exact fate thereafter remains unknown. Last week I gave a talk at the Canadian War Museum on the subject of Grand Duke Nikolai Nikolaevich and the First World War. Prior to the talk, I was taken downstairs into the vault to see one of the museum’s large and excellent collection of paintings. Entitled ‘The Bolshevik’, and painted in 1919 by British artist David Jagger, it was eventually bought by Lord Beaverbrook. He then gave it to the Canadian War Museum, which has never put it on display. I think that it is very striking, and given that it has sat unseen in various museum vaults for nearly 100 years, the general public deserves finally to view it. So here is a digital copy of it kindly provided to me by the war museum. is evidenced by the increase in US government spending on programs for the so-called development of democratic institutions in countries bordering on Russia and in the Central Asian states. … About 4.3 billion dollars have been allocated under this item in 2017, and around a billion dollars will go to programs for the so-called fight against corruption and supporting democracy in countries neighbouring Russia. Funds already received under this program have been spent by various non-governmental organizations under the guise of promoting education, developing civil society, and other seemingly useful purposes. The outcome has been the incitement of anti-Russian moods in neighboring countries, the shaping of the pro-American and pro-western so-called non-systemic opposition in Russia, and the spread of inter-confessional and political extremism within our country. Virtually simultaneously, the Royal Institute of International Affairs (aka Chatham House) published a report by Ukrainian analyst Orysia Lutsevych saying almost exactly the same thing, but the other way around – Russia is waging an information war in the countries adjacent to it; it is using the media and non-governmental organizations under the guise of promoting education, developing civil society, and other seemingly useful purposes. Russia employs a vocabulary of ‘soft power’ to disguise its ‘soft coercion’ efforts aimed at retaining regional supremacy. Russian pseudo-NGOs undermine the social cohesion of neighbouring states through the consolidation of pro-Russian forces and ethno-geopolitics; the denigration of national identities; and the promotion of anti-US, conservative Orthodox and Eurasianist values. They can also establish alternative discourses to confuse decision-making. And how does Russia do this deadly deed of confusing democracies with ‘alternative discourses’? According to Lutsevych, through such dastardly techniques as ‘working with universities and schools globally’ to promote the Russian language. (How dare they!) Russia also ‘imposes its own version of history’ (‘imposes’, mark you!). Lutsevych writes that, ‘Although the Soviet historical narrative is recognized in the West as highly politicized and biased, Russia resists what it considers to be efforts by other sovereign states to reassess the events of the [Second World] war’. Lutsevych complains that the former head of the Russian railways Vladimir Yakunin ‘has established the St Andrew’s Foundation and the affiliated Centre for National Glory. Both have the objective of promoting the Russian national heritage and peaceful coexistence of various nations and religions’. ‘Peaceful coexistence’ – shocking! We cannot have any of that. Organizations like these are ‘proxy groups’ actually working to destabilize neighbouring states, claims Lutsevych. Leading them is the Russian international development agency Rossotrudnichestvo. This operates a sinister ‘network of 60 Russian centres of Science and Culture’ around the world. I was at a meeting at one of these recently. I thought I was there to discuss academic exchanges. In reality, I learn from Lutsevych, I was one of the Kremlin’s ‘useful idiots’, for Rossutrudnichestvo is actually a political organization ‘consolidating the activities of pro-Russian players … and disseminating the Kremlin’s narrative’. ‘Russian state media operating abroad’, Lutsevych says, ‘must be closely monitored for compliance with the broadcasting regulations of their host countries and, where necessary, sanctioned for violations’, and ‘the activities of proxy groups in host countries should be closely monitored, and groups should even be closed down.’ It’s great to see that we in the West occupy the high moral ground. I bought this week’s book when I was 16 years old and read it while on a Russian language summer course at the University of East Anglia. 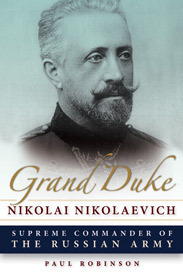 It is one of the books which inspired me to become a Russian historian. What really excited me, though, wasn’t Robert Massie’s descriptions of Peter the Great, but rather Charles XII of Sweden taking on the entire Turkish army with just 100 men of his own, and galloping incognito all the way across Europe to get back home. What a guy! Lawfare, according to Wikipedia, is ‘the illegitimate use of domestic or international law with the intention of damaging an opponent, winning a public relations victory, financially crippling an opponent, or tying up the opponent’s time.’ It is highly questionable what would constitute an ‘illegitimate use of the law’, but what is true is that certain people are turning to the courts as a political tool, and that some courts seem willing to help them by making what seem to be highly politicized judgements. In March of this year, for instance, a US court ordered Iran to pay $10.5 billion in damages to relatives of victims of the 11 September 2001 terrorist attacks in New York and Washington. And today the US Supreme Court determined that Iran must pay almost $2 billion to relatives of Marines who died in an attack on their base in Beirut in 1983. Yet in an interview this week, US president Barack Obama opposed attempts to sue Saudi Arabia for its alleged role in the 9/11 attacks. Obama declared: ‘If we open up the possibility that individuals in the United States can routinely start suing other governments, then we are also opening up the United States to being continually sued by individuals in other countries.’ Thus it is o.k. for Americans to sue Iran for $10.5 billion for 9/11, even though Iran was not responsible, but not o.k. to sue Saudi Arabia, even though a link is much more likely. Clear examples are the decisions on the Yukos affair, the decision on the murder of former FSB officer Aleksandr Litvinenko, the report of the Dutch security council on the results of the research into the shooting down of Malaysian Boeing MH17, the inquiry by the American FBI into the legitimacy of the award of the right to hold the World Cup to Russia and Qatar in 2018 and 2022, the kidnapping and forcible rendition to the USA and sentencing to a long term of imprisonment of our citizens Viktor Bout and Konstantin Iaroshenko, etc. To date Russia has had an excellent record in implementing ECHR decisions – far better in fact than many Western European countries. This reflected the importance given to the rule of law by the Russian authorities. I believe that the December 2015 law mentioned above and the Constitutional Court’s decision are therefore steps in the wrong direction. But they are perhaps inevitable consequences of what is seen as the biased implementation of international law – legal ‘blowback’, if you like. Fortunately, a sign that things might be changing came this week with another court decision – this time by another Dutch court, overturning the outcome of the 2014 Yukos case. The US Supreme Court’s judgement against Iran suggests that the Americans are losing none of their appetite for ‘lawfare’, but the Yukos case suggests that perhaps the Europeans are. This week’s book is the program of the Communist Party of the Soviet Union as adopted by the 27th Party Congress in 1986. I bought this as a souvenir while studying in Minsk in 1987, and it has sat unread on my shelf ever since. Journalist Anne Garrels’ new book Putin Country: A Journey Into the Real Russia is the product of twenty years of visits to the city of Chelyabinsk. A lot of reporting about Russia focuses on Moscow, but the Russian capital is abnormal in many ways, most notably because of its comparative wealth and the presence of a large, educated, and relatively liberal elite. Analyses of Russian public opinion based on Moscow are likely to be wide of the mark. Garrels therefore provides a useful picture of what life is like elsewhere in Russia. In the Soviet era, Chelyabinsk was a centre of the nuclear industry and thus closed to most Soviet citizens as well as to foreigners. To Garrels its people serve as a proxy for the majority of Russians who support Vladimir Putin and her study is marketed as an attempt to understand them. To my mind, though, that’s not really what this book does. While it does contain some interviews with Chelyabinsk residents who support Putin, there is little analysis of why they hold the beliefs they do. Nor does Garrels spend a lot of time describing people who are not involved in politics, business, or some sort of activism, but just go to work every day and don’t do anything out of the ordinary. Readers do get to meet a taxi driver, Kolya, but even his story is somewhat unusual as it involves drug addiction, time in prison, and infection with HIV. Moreover, most of the stories in the book are rather negative. We learn that Russian health care is a ‘mess’. We meet those trying to cope with the city’s growing drug addiction problem, whose efforts are thwarted by ‘Neanderthals’ in the government and conservative social organizations. We learn of massive cheating in Chelyabinsk’s universities. We discover that heavy-handed actions by the security services are alienating the city’s Muslims. We read of the horrific pollution caused by the local nuclear industry and of an environmental activist who is jailed for daring to point this out. We meet a forensic expert turned undertaker, whose associate is murdered and who is forced to sell his business after he refuses to bribe local officials. We encounter a journalist whose son is arrested after she writes articles critical of the city administration, and a protestor who receives death threats from what ‘were clearly Putin’s thugs’. And so on. Overall, the image Garrels paints of Chelyabinsk is a pretty grim one. More important, she doesn’t do much to help us understand why this is ‘Putin Country’. The best that she can come up with is that ‘most everyone seems apathetic, cowed, or bought’. She quotes a liberal film director who says that, ‘It’s a bipolar disorder’, and a former journalist who complains of the Russian people that, ‘They are still slaves’. And yet, there are moments in the book which suggest a rather different story. Garrels notes that under Putin, ‘Salaries were being paid. Social services improved. Pensions increased. Credit and mortgages were finally available’. After a few years, ‘the center of Chelyabinsk was unrecognizable … The renovated city center has become a popular gathering place. … the cobblestoned streets … now harbor elegant shops, restaurants, and bars. … Where not long ago there wasn’t a single decent hotel, there are now many.’ There are a ‘new park, new hockey rink, malls, and supermarkets … the skyline is cluttered with cranes.’ We learn that ‘Several ski resorts are in development’, and that just outside Chelyabinsk, ‘you reach villages which are turning into helter-skelter suburbs’. Despite the detailed stories of intimidation recounted by Garrels, she admits that in general ‘small to medium-sized businesses … are no longer subject to the criminal shakedowns of the 1990s.’ And she introduces us to some successful farmers, who ‘were able to buy improved Russian tractors … [other] domestically produced equipment … cutting their expenses’, and who are now ‘moving into IT’. After the litany of stories of corruption and intimidation, one wonders how this is all possible. Business appears to be prospering, and the government obviously isn’t stealing everything, but is channelling at least some of its funds into genuine improvements of social infrastructure. A balanced conclusion might be that Chelyabinsk – and one assumes, many other places like it – have made enormous progress over the past 20 years and continue to do so, but could be doing even better if it wasn’t for the sort of corrupt behaviour Garrels describes. Garrels analyzes the bad news very well, but to get the good news, you have to read between the lines.